Bracken Ground is a luxury self catering property in the Lake District National Park. 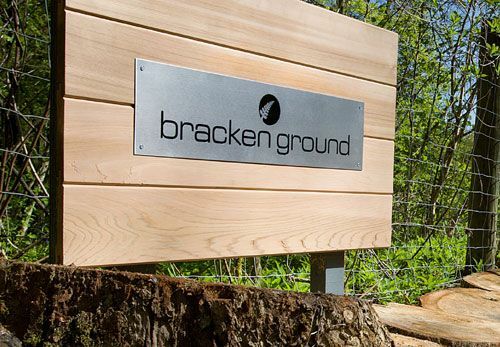 The owners approached us to create a contemporary logo that could be etched into metal signage. The property combines natural and man-made materials. This is also reflected in the logo, a bracken leaf etched into steel. The rounded, modern typeface and the simple illustration create a stylish logo, which complements this new build.